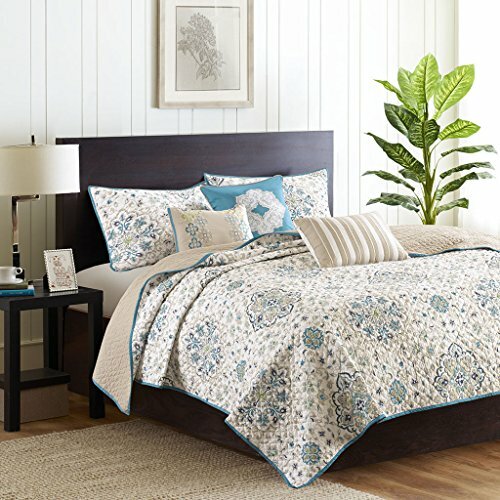 New (10) from $98.57 & FREE shipping. 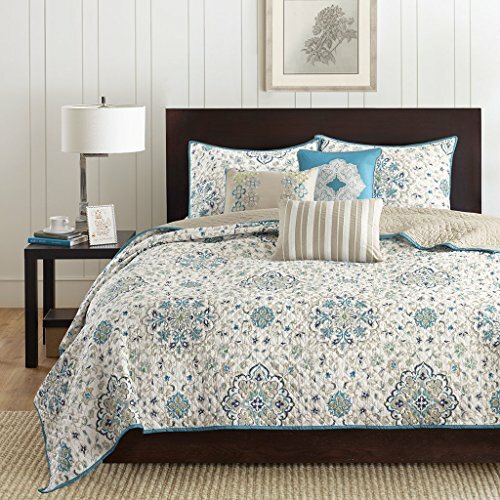 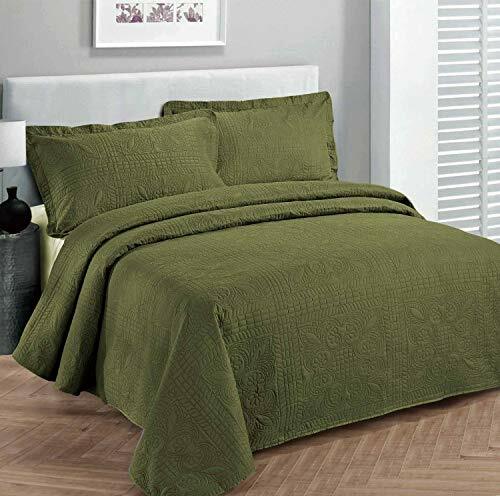 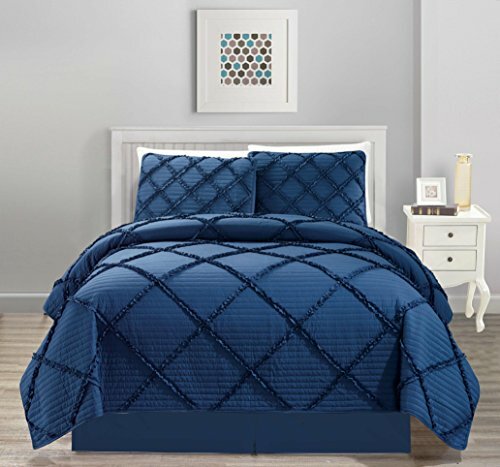 Size:King/Cal King | Color:Teal Update your bedroom with a fresh new look in the Madison Park Tissa Coverlet Collection. 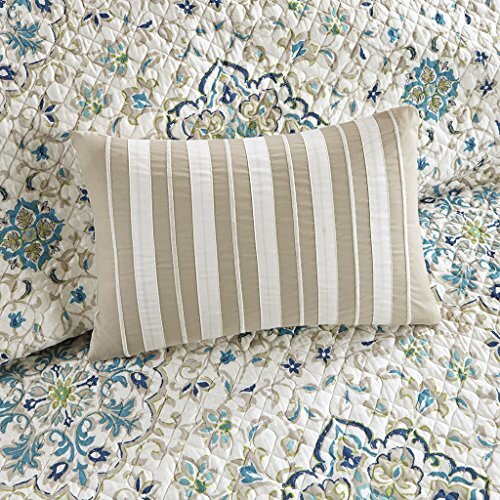 These neutral colors and pop of teal are printed on polyester microfiber for a soft hand feel on the face and the reverse is a solid ivory brushed polyester fabrication. 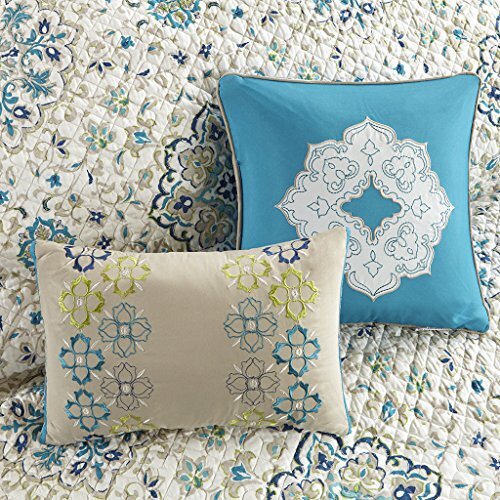 Three decorative pillows feature embroidery and piecing details to add dimension and a pop of detail to the top of bed.